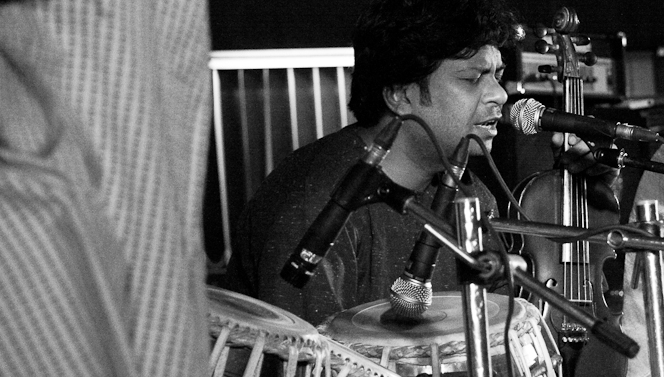 Music was an integral part of Sharat Chandra Srivastava's childhood. There would always be some or the other kind of music being played at his house. 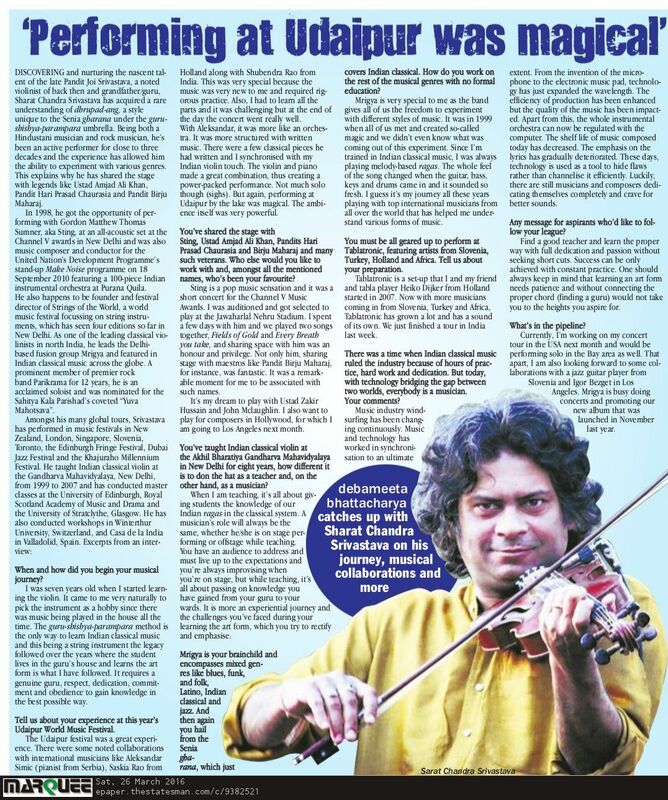 In a candid chat with Minakshi Bajpai, Sharat Chandra Srivastava - a founding member and the driving force, violinist and vocalist of Mrigya - shares his personal musical experiences, the nature of music his band is into, details about their North American tour and a whole lot more. Young musicians paid homage to unsung violin maestro Joi Srivastava on his 81st birth anniversary. 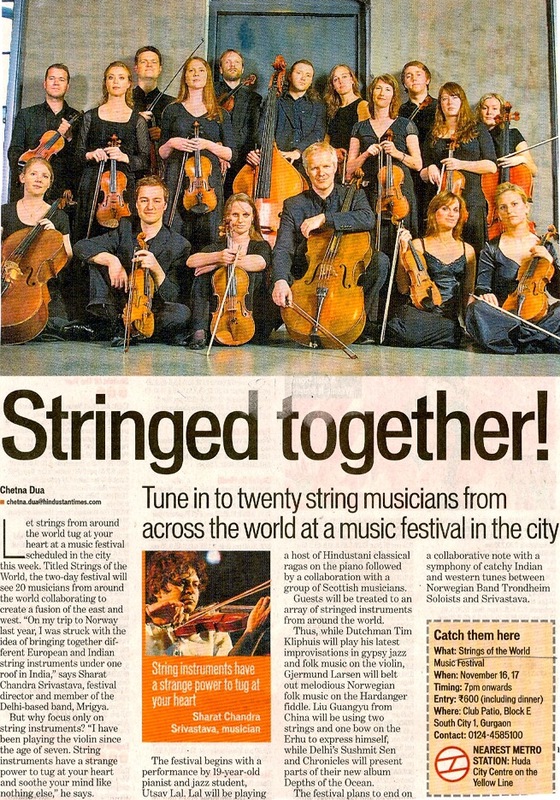 A concert at Purana Quila showed indigenous musicians from all over India who created symphony of sounds to take actions on the Millennium Development Goals. That there is some truly culture-blending quwwalis thrown in with Hindustani classical only makes the music more enriching and scintallating. The big daddies of fusion, Mrigya, are in the city to launch their first album. Time Out talks to artists about the making of their albums. In a free-wheeling chat, Mrigya front man Sharat Chandra Srivastava spoke at length with Aman Kanth of Spicezee.com about his love for music and Mrigya. EVEN IN itself, a stage is a defined space. Demarcated as it is from other spaces, it inherently awaits action...even provokes it. After 62 years since independence what we have is global India, where sushi and bhel puri, punjabi pop and reggae survive together. The answer to mera bharat kahan is an India where cultures of the world converge but in a distinctly desi way. It's not us on stage. It's not the individual musician playing an instrument. It's like there's an external power from which the music comes.